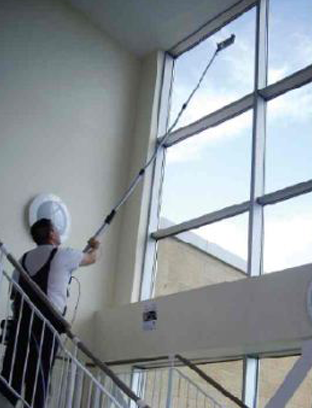 Servinet specializes in window cleaning services, both inside and outside of your company or residence. 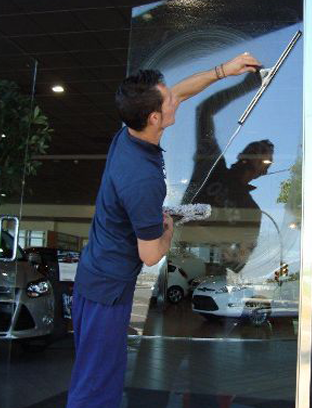 We also have a large logistics to carry our cleaning services also in height, since these tasks are conducted by a tow truck up to 16 meters high our property. The value of a building and its offices is related to its good looks. Many buildings have significant height glass wall surfaces. 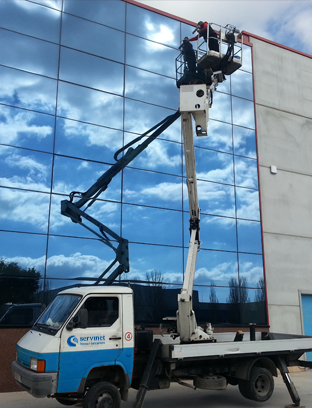 If you need to clean or restore facade height, please contact us, we have the equipment and skilled operators. This work is performed also with highly specialized workers who have a high level of training and experience. Equipment and latest technology products. 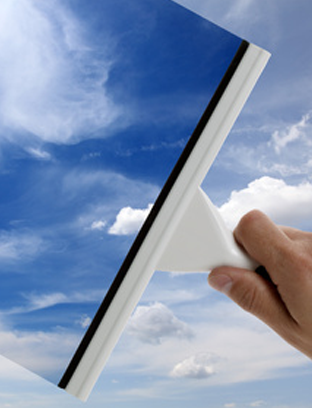 All our staff are insured and we will work for you, it is covered by a liability policy. By dampening and lip with folding telescopic boom. Equipped with safety harness anchored to fixed points and / or clamping rings. With specific lifting means as self-propelled articulated arms, mechanical scissors, elevators small size and short entity for walls, interior curtains, as needed. 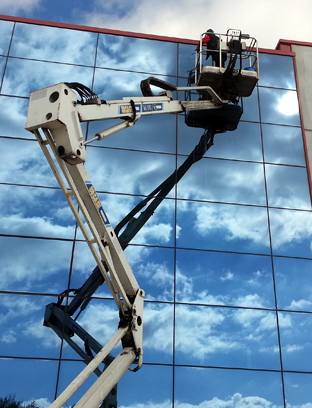 Cleaning by personal professional climber (ropes, anchors and harnesses included in the service). 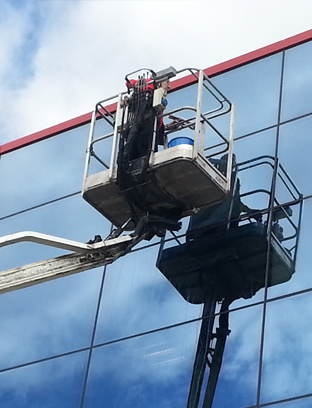 Window Cleaning with demineralised water and telescopic poles.